Florida is one of very few states that uses no-fault insurance law. Every resident is required to have insurance that covers a minimum amount of damage. That means that if you are involved in a car accident in Florida, you should first consult your own insurance coverage for medical bills and other related expenses. There are exceptions to this general rule, however. 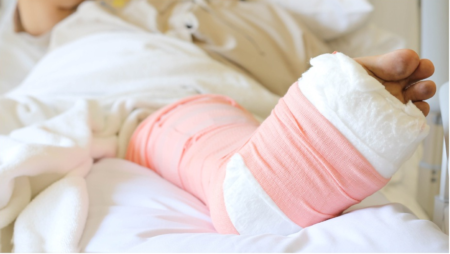 If you suffer a “serious injury,” then you can move your claims outside of your own insurance. You can then access the at-fault driver’s insurance coverage. Nonetheless, it can be difficult to determine what types of injuries qualify as a “serious injury” under Florida law. Florida’s no-fault insurance provisions are collectively referred to as “Florida Motor Vehicle No-Fault Law.” Under this law, Florida residents are “exempt” from tort liability as long as they are covered under the no-fault rules. In other words, everyone required to have no-fault insurance cannot use the court system for damages unless their claim would not be covered (fully or in part) by the no-fault insurance. Medical expenses and lost wages would still be recoverable under the no-fault insurance, but stepping outside of Florida’s no-fault insurance law allows you to recover many non-economic damages as well. There are many other types of injuries that would meet Florida’s law as well. If you think you have suffered a serious injury, contact a Florida personal injury attorney as soon as possible. Florida’s no-fault insurance laws are sometimes referred to as “PIP Coverage.” PIP stands for Personal Injury Protection. Each Florida resident is required to have at least $10,000 of PIP Coverage at any given time. It does not matter who was at fault in the accident; your insurance will pay your own claims first. However, it will only cover 80% of your medical bills and 60% of your lost wages (at most). PIP Coverage includes reimbursement for mileage to and from your treating physician. It is also limited to $5,000 of death benefits. It will also cover you if you are involved in other types of accidents with a motor vehicle, including situations where you are a pedestrian or you are riding a bicycle. Unfortunately, Florida has a high rate of uninsured or under-insured drivers, which means that they may not even have PIP coverage, let alone liability coverage. That can be a significant problem for those who suffer from “serious injuries” and need more than just PIP coverage to cover expenses and future pain and suffering. To do that, consult with the experienced and knowledgeable legal team at the Leifer Law Firm and contact us today at 561-395-8055. We can help you get the compensation you deserve.